We offer a wide range of practical services aiming at companies in all stages of their establishment and development in China, We can help them selling to, sourcing from or to establish themselves in China. With extensive knowledge and experience in the local market we help Swedish companies to establish themselves and achieve their full international potential in China. Sweden being one of the most competitive, productive and globalized nations in the world attracts many Chinese investors and companies. We help them with investment opportunities for a successful establishment. Lynn&CO is a consulting firm facilitating Swedish and Chinese enterprises and investors to develop new markets and to seek more business opportunities outside of their home market. With decades of experience in business development, we support our clients with tailor-made solutions to avoid pitfalls, overcome language difficulties, cultural differences, legal obstacles and to succeed in their establishment in a new market. Their success is our motivation. 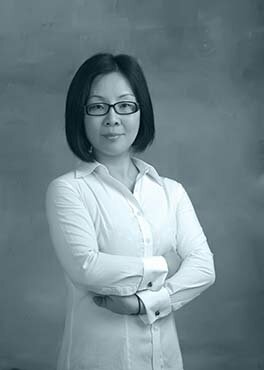 Lynn Zhong Palmberg has over 20 years experiences in business development for different industries in China and Sweden. She has carried out over 100 projects to help Swedish companies develop their business successfully in China. Those projects cover almost all business activities ranging from market analysis report, match-making, distributor search, supplier search, recruitment to company establishment, IPR registration etc. In the past ten years our collaborate with Lynn&Co has been a success story.